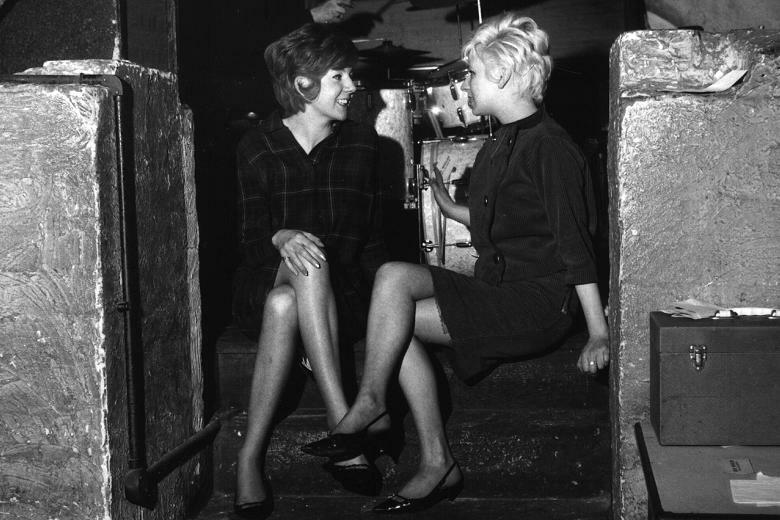 As an ‘ordinary girl done good’, she became a national celebrity following humble beginnings working the cloakroom of The Cavern Club in Liverpool, where The Beatles played so many times during the early 60’s, prior to their meteoric rise to world renown. Beatles manager Brian Epstein would take her under his wing and guide her singing career from 1963 until his death in 1967, with Beatles producer George Martin overseeing her recording sessions at London’s Abbey Road studios. During that time she scored a string of hits, including 2 that topped the chart in 1964, ‘Anyone Who Had A Heart’ and ‘You’re My World’. Her friendship with The Beatles would provide her with her first single, 1963’s ‘Love Of The Loved’, a Lennon / McCartney composition never released by the band. Her final Top 10 hit was 1971’s ‘Something Tells Me (Something Is Going To Happen Tonight)’ – in all she placed 11 singles in the Top 10, along with 3 of her 60’s albums. In early 1965 she was set to achieve the same feat with ‘You’ve Lost That Loving Feeling’, which had stole a march on the Phil Spector produced original, now regarded as one of the great classics of recorded music, by The Righteous Brothers. This was until the manager of The Rolling Stones, Andrew Loog Oldham, took it upon himself to place a full-page advertisement in Melody Maker imploring people to buy the clearly superior Righteous Brothers original. In the event, Black’s version would stall at #2 with The Righteous Brothers leap-frogging it to the top spot on its way to pop immortality. With a powerful, what some might describe as ‘distinctive’ voice, which certainly wasn’t everyone’s cup of tea, she would eventually come to be regarded as more of a show business personality than singer. Much loved by the TV viewing public as someone who possessed ‘the common touch’, she would forge a hugely successful career in light entertainment, becoming a major TV star via shows including ’Cilla’ (1968-1976), ‘Surprise Surprise’ (1984-2004) and ‘Blind Date’ (1985-2003). Just last year ITV aired a 3-part drama about here life, ‘Cilla’, with actress Sheridan Smith taking the starring role.